We are proud that our key Employees became the new owners of Balloon Repairs of East Texas with the announcement of Guy Gauthier's retirement in January 2015. Joe and Lynn Paddie are now the new owners, with management staying the same. Guy continues to stay on board for techincal advise and support. Guy also continues to work hard to make sure that B.R.E.T. meet all FAA standards, regulations and approvals. Joe is an expert in basket construction and repair. 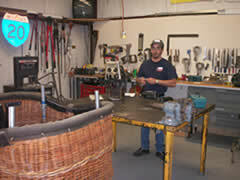 He is also knowledgeable in servicing all brands of hot air balloon burners. Since the formation of BRET in 1995, Joe has attended factory schools every year, and has even gained proficiency in sewing. Joe is highly capable in all aspects of balloon repair. Joe is not only a skilled technician, he is also a pilot. He earned his pirvate pilot license on September 24, 2004. Lynn joined BRET in October of 1998. She brought a willingness to learn, and a dedication to do the job the right way. Lynn has also attended the necessary schools and safety seminars to make her a vital part of the team. 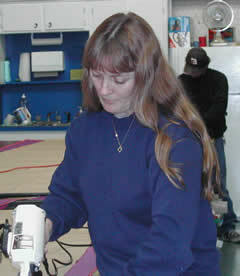 Robin Jones is our accessories seamstress and assistant in the envelope inspection departmen. 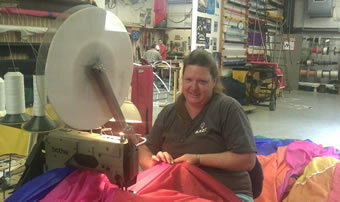 We are happy that she has returned to our shop with more than 5 years of balloon repair experience. 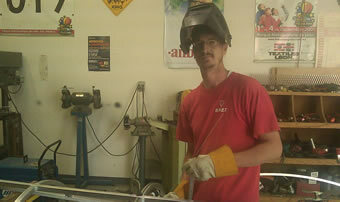 Jimmy Gardner is our welder and Joe's assistant on all mechanical systems. Guy Gauthier - Now Retired but remains on staff for techincal support, FAA representative/liaison for the company, mentor and advisor. Guy has been involved in the manufacture and repair of hot air balloons for nearly thirty years. 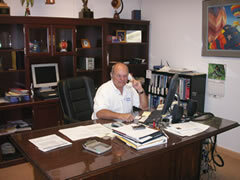 He has owned three repair stations, worked as a repairman for Mike Adams Balloon Loft in Georgia, and has been the General Manager of both Adams Balloon and Thunder and Colt. Guy has also been a part of the world record holder Bill Bussey's Team, and helped with Kevin Uliassi's Round the World Attempts.